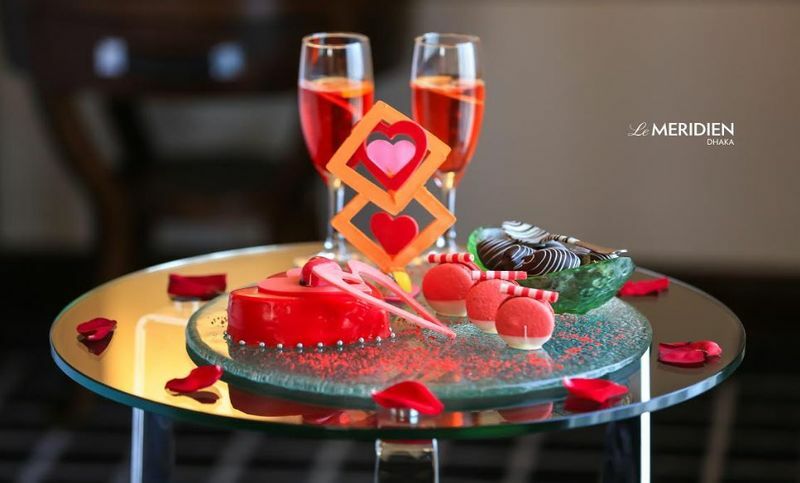 This year Le Méridien Dhaka is planning a memorable Valentine’s Day for their cherished guests. They have launched a social media campaign with a very unique theme called ‘Unplan Your Valentines’ on Facebook. The campaign will run till February 12, 2019. Along with the campaign, they are also arranging a number of captivating offers to celebrate Valentine’s Day. To participate in this campaign, people have to like the Facebook page of Le Méridien Dhaka and then post a public video of what they are planning to do on Valentine’s Day. Participants need to add specific hashtags to their post, (#unplanyourvalentines and #lemeridiendhaka). More details on how to participate in the contest are given on a simple video tutorial (https://www.facebook.com/LMDhaka/videos/1772981969472462/) on their Facebook page. One lucky couple will win the contest and the winners will be selected by the team of Le Méridien Dhaka. The winners will be announced on the hotel’s official Facebook page on February 12, 2019. Moreover, to celebrate Valentine’s Day, the multi-talented chefs from Latest Recipe will prepare a wonderful buffet dinner on February 14, 2019, only for BDT 4,900++ per person. On this occasion, guests will also be able to participate in a raffle draw to win exclusive gifts, sponsored by Diamond World. More details on the restaurant raffle draw are given on their Facebook event page (https://www.facebook.com/events/2472490052824969/). Le Méridien Dhaka’ specialized Italian Chef Valter Belli will offer a delectable four-course Valentine’s dinner menu for guests who want a perfect lavish meal, at the exquisite Italian restaurant Favola. In addition, Le Méridien Dhaka will also offer attractive room packages to celebrate Valentine’s Day. The room packages will be available from February 14 to February 16, 2019. The offered packages will start from BDT 11,500++ per night. Many other discounts will also be offered with the packages. Le Méridien Dhaka aims towards excellence through stimulating and delighting guests with inspired flavors, extraordinary services, and unique experiences. A prestigious and prominent entity in the hospitality industry of Bangladesh, with the most number of international recognition and awards. Some of the key achievements of Le Méridien Dhaka so far are Best Business Hotel by Lonely Planet, Luxury City Hotel by World Luxury Hotels Award, Certificate of Excellence by Trip Advisor, Best International Business Hotel in Bangladesh by Today Traveler Award, Most Innovative Design and Luxury Facilities in a Business Hotel- South Asia by 11 Hospitality India and Explore the World Annual International Travel Award, Certification by Safe Hotels to name a few. The international chain hotel, which opened on 15 November 2015, always focuses on hosting different celebrations and providing attractive promotional offers for their guests. This year Le Méridien Dhaka is planning a memorable Valentine’s Day for their cherished guests. They have launched a social media campaign with a very unique theme called ‘Unplan Your Valentines’ on Facebook. The campaign will run till February 12, 2019. Along with the campaign, they are also arranging a number of captivating offers to celebrate Valentine’s Day.